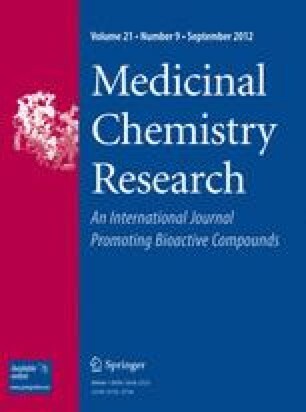 In the present study, a novel series of Pyrazole derivatives (3a–m) were synthesized by condensing ethyl-3-(dimethylamino)-2-(phenylcarbonyl)prop-2-enoate with different aromatic and aliphatic hydrazines. These newly synthesized compounds were characterized by NMR, mass spectral, IR spectral studies as well as by C, H, and N analyses. All the newly synthesized compounds were screened for their antibacterial properties against Staphylococcus aureus, Bacillus subtilis, Escherichia coli, and Pseudomonas aeruginosa. Among the screened samples, 3c, 3f, 3k, and 3l have showed excellent antibacterial activity against all the tested bacterial strains as compared to the standard drug Ceftriaxone. Few of the compounds were found to be biologically potent. Molecular structure of compound 3i was confirmed by single crystal X-ray analysis. AMI is thankful to Board of Research in Nuclear Sciences, Department of Atomic Energy, Government of India for the “Yong Scientist” award.